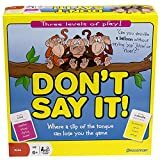 This fantastic word game of Don't Say it is especially designed to help children develop their word vocabulary. 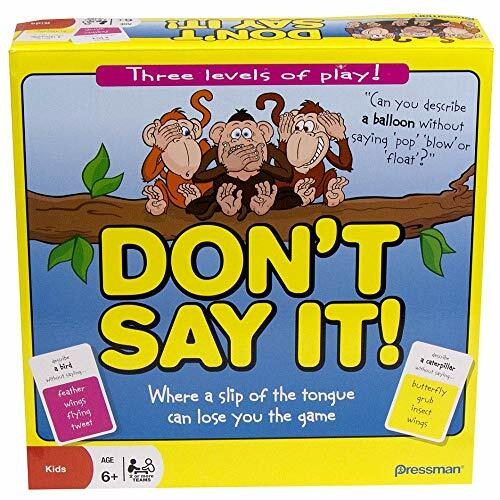 A fun game where a slip of the tongue can cost you the game! Can you get your team to say 'pig'? It's not as easy as it sounds, especially when you can't say 'sausage' 'sty' or 'pork'. Can you describe a balloon without saying "pop", "inflate", "bang" or "float"? You'll need to be quick though to avoid being buzzed out by the timer! The electronic timer beats faster as you run out of time! 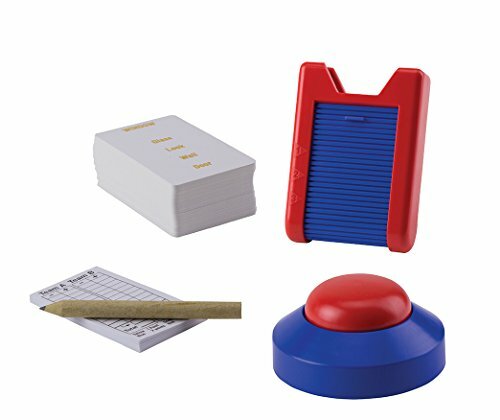 Say the wrong word and WHACK.... Game over!Don't say it contains 200 words with a clever card holding device which allows you to set 4 different levels of difficulty, depending on the age and abilities of the players. Whatever age you are, this game is great fun for the whole family. This game is for 2 or more teams of players and suitable for ages 6 years and up.